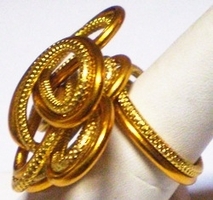 Gold `blended Wire Sculptured adjustable rings created designed by QueenNE Nekhena Evans. 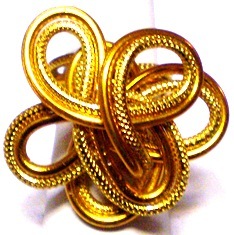 Made of lightweight, non-tarnishing, brilliant color wire. True works of Art. Original, one-of-a-kind designs exclusively by New Bein'. Style 7.